Roasted veggies and summer go hand in hand. Why? It’s grilling season and you can grill them up. But guess what? I’m sort of afraid to use a grill and when I say “sort of” I mean “I am.” Anyway, while everyone else is using their grill, I’ll be using my oven. Yes, even on these hot days… We have an air conditioner, it should be okay. 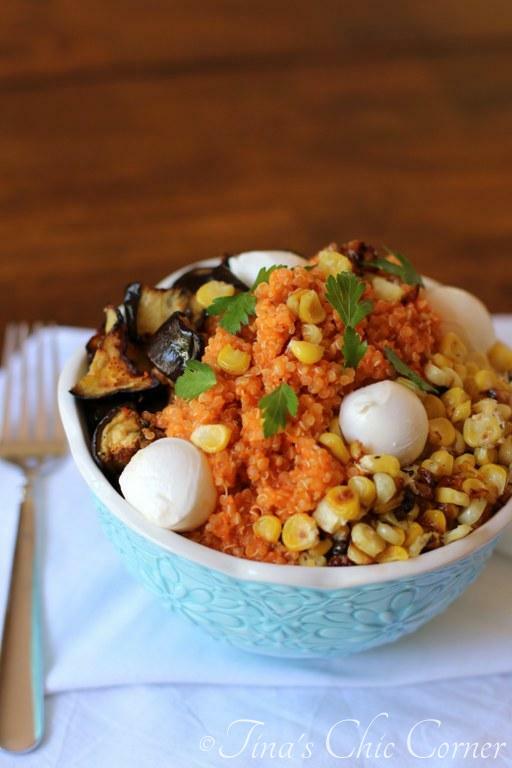 This dish is loaded with roasted eggplant and corn and the quinoa is covered in a roasted red pepper sauce. Place tin foil on top of 2 baking sheets and set them aside. Roughly chop the eggplant and coat them with 1 tablespoon of oil. 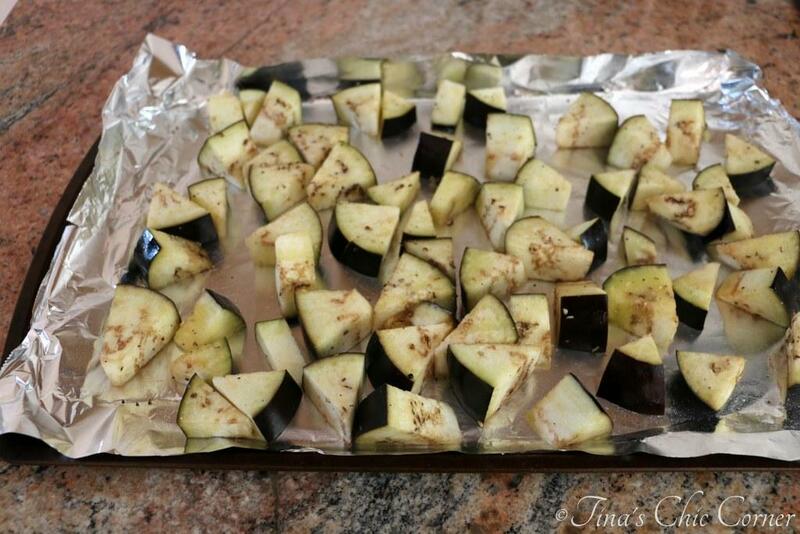 Place the chopped eggplant on the prepared baking sheet and season with salt and pepper. Remove the corn kernels from the corn on the cob and coat with the remaining 1/2 tablespoon of oil. 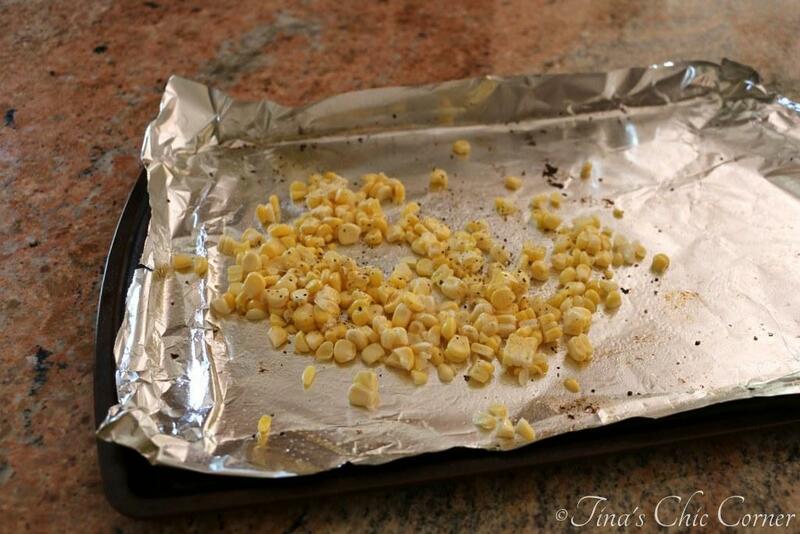 Place the corn kernels on the other prepared baking sheet and also season with salt and pepper. Bake the eggplant for 20 to 25 minutes or until browned. Meanwhile, cook the quinoa according to the directions on the package and then set it aside. In a medium skillet, on Medium heat, melt the butter. Add the diced onions and minced garlic and cook for 2 to 3 minutes or until they start to soften. 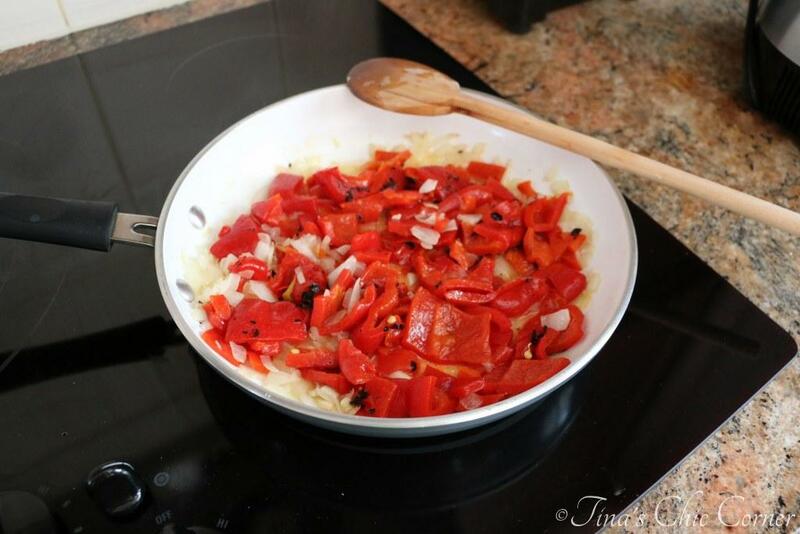 Add the red peppers and cook the mixture for an additional 2 to 3 minutes, until it’s hot. Carefully transfer the mixture to a food processor and puree it until it’s mostly smooth (there should still be some texture). Pour the pureed mixture back into the skillet. Stir in the broth, and season with salt, pepper, and parsley. Gradually pour in the heavy cream and stir until it’s combined. Add the cooked quinoa and grated Parmesan cheese into the skillet and stir it all together so that all the quinoa is completely coated with the roasted red pepper sauce. Add in the roasted eggplant, corn and mozzarella balls and gently toss everything together. Aren’t roasted veggies awesome? It’s amazing how a few simple ingredients and a bit of time in the ole hot box can take a veggie to whole new level of the high rise in flavor town. You can use frozen corn if you want. You don’t need an exact amount of it here, but I used a little over a cup of corn. The photo below shows the corn kernels from only one of the cobs because I wanted to take a picture of it before I forgot. Lol. Mulit-task much? I opted to use jarred roasted red peppers for the sauce because it’s a real time saver. 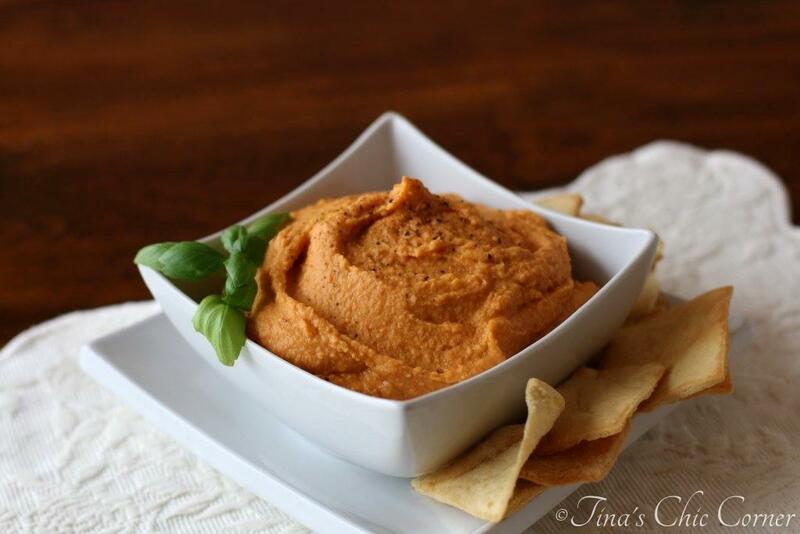 Plus, they taste just as good as if you roasted the red bell peppers yourself. If you want to do it up fresh, then by all means knock yourself out. 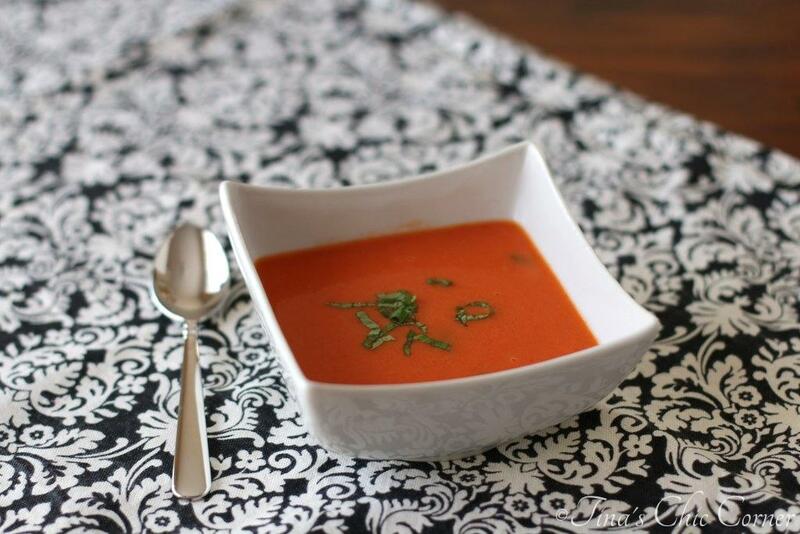 I have some good tips for how to do that from when I made my Roasted Red Pepper Soup. You can see here that I chopped up the peppers from the jar, but that’s not really required since the food processor is just going to eat them up and spit them out anyway. Ah, the magic of a food processor. 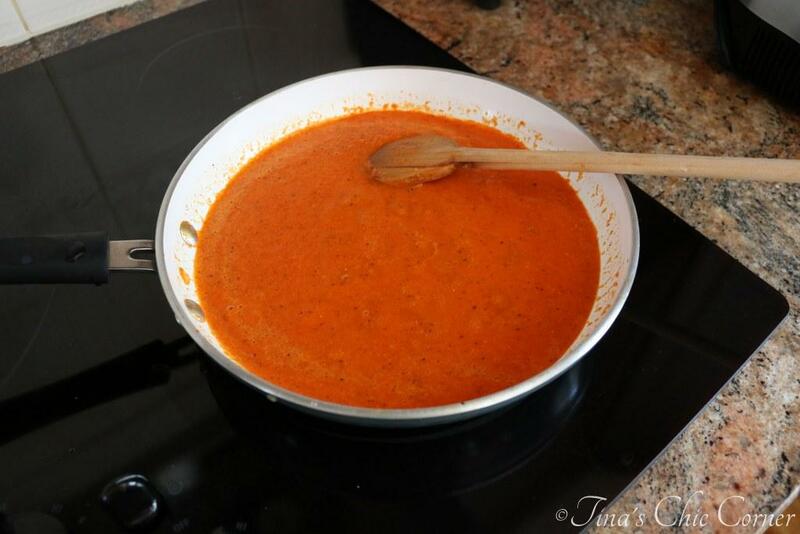 If this sauce looks familiar to you then you know I’ve posted about it before with my Roasted Red Pepper Pasta. (I’m sensing that I cook a lot with roasted red peppers. 😉 ) Today is proof that you don’t have to use it just for pasta. This sauce is the bomb digity. It’s light and creamy and gives the quinoa lots of sweet, roasty flavor. 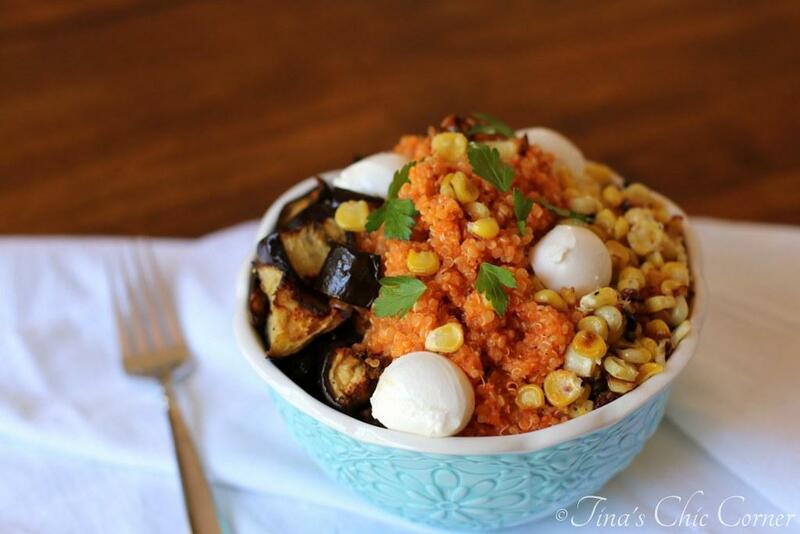 I love combining the quinoa with the roasted eggplant and corn. The corn kernels are nice and crunchy from roasting them. Yum! Adding cheese to any meal makes it instantly better, right? The fresh mozzarella balls add lovely texture and taste. My youngest sister was over visiting when I made this dish and she gobbled it right up. Did I mention I love roasted red peppers? I am loving the sound of the roasted red pepper sauce. Yummmmm! 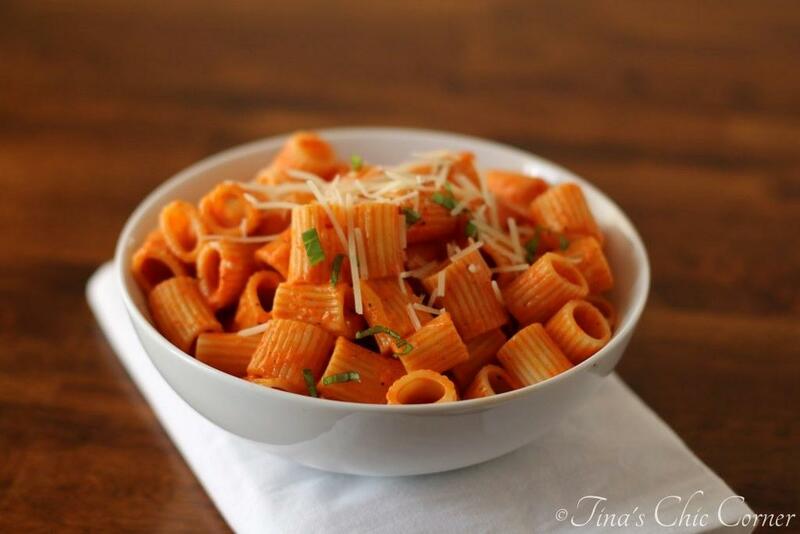 This dish looks delicious, Tina! I love finding new ways to use quinoa, and this looks like a sure winner. Love the pops of color! 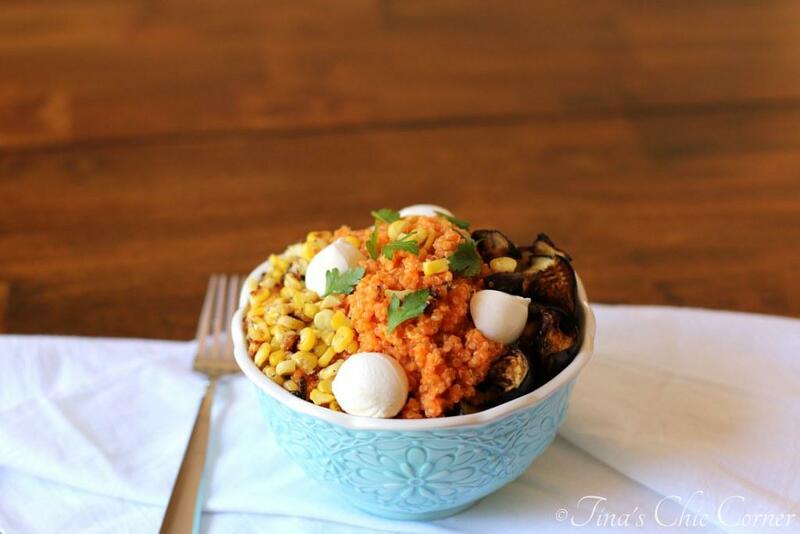 And I love sneaking in some eggplant and corn, too…especially in the summer! haha yup I’m scared of the grill too. We only grill when my husband is around! Love the looks of this dish … I am eating corn like it’s going out of style right now and I love that you have it in here!